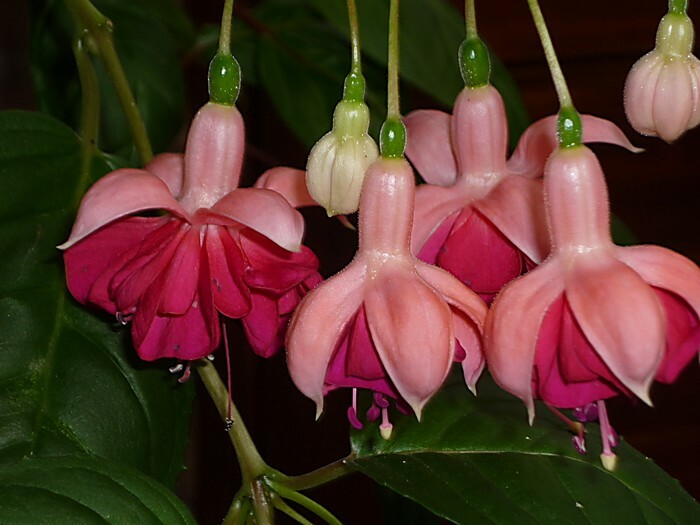 Fuchsia 'Garden News' is one of our favourites. Garden News produces two-toned pink flowers on graceful arching stems. Hardy bush variety.